This cool Golf Course background is ideal for a wallpaper, greeting card, or invitation for a Saturday morning round of golf. A set of clubs sits on the fairway of the 8th hole on a Spring or Summer day. Green grass and a blue sky make for a beautiful setting. 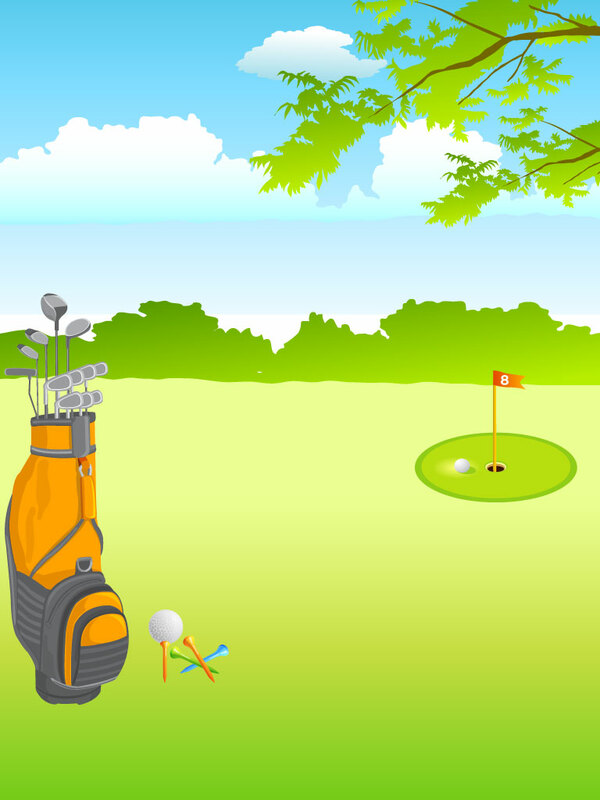 Tags: Course, Fairway, Flag, Golf, Green, Hole, Sky, Sports, Trees.